Whether we always like it or not, our students are going to talk. And honestly, they should be! Adolescents are social creatures. When we attempt to stifle that natural developmental drive, we run into all sorts of classroom management issues as our students become disengaged and our classroom environment suffers. Our students need to talk. 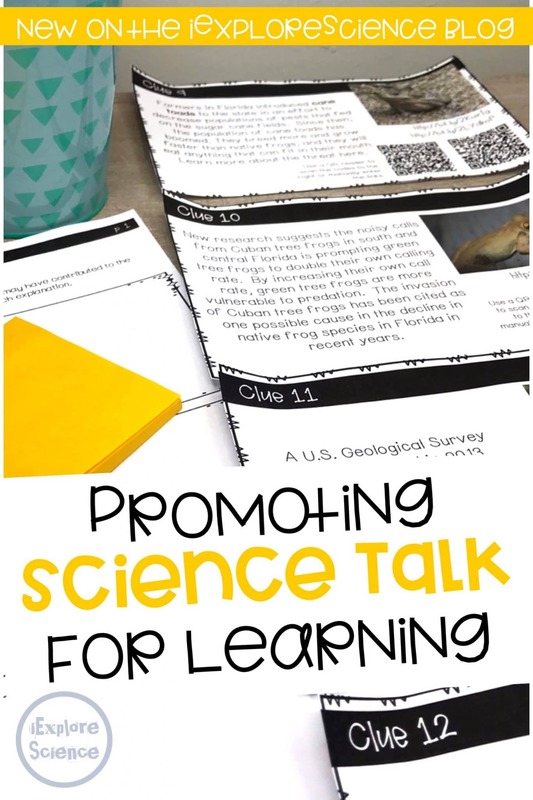 That said, it is our job to channel that talk into productive discussions that support student discovery and learning. I know, I know – easier said than done. So how can we embrace the talk in our classroom? Let’s take a look! While this isn’t the place to get into the nitty gritty of creating classroom culture – that will have to be a lesson for another day – there are some things you can do to ensure that you have set the stage for productive discussions. 2. Second, you must have well-established procedures and expectations. Often as a teacher, giving students the freedom to talk is terrifying. You are relinquishing some control, and it can get rowdy – particularly if you haven’t taken the appropriate measures to keep it focused and contained. 3. Third, you have to have a clear academic purpose and a strong understanding of the content. Discussions can have different purposes — uncovering student ideas, consolidating understanding, interpreting data, or crafting explanations supported by evidence and reasoning. It’s important to know the ultimate goal, so that you can craft your questioning to lead toward that goal. Additionally, because in some sense “all is fair” when it comes to student talk, you must have a strong understanding of the content so that you can connect with the thoughts and ideas students bring up. Understanding how they think, how it actually works, and how to get them from A to B is going to influence the way you guide the discussion, the questions you ask, and the observations you make. 4. And fourth, speaking of questions and observations, you must have a game plan. You will need a question to launch the discussion, and you will want to have a few follow-up questions to move the conversation forward. Crafting a great starting point is vital to fostering great science talk. Moreover, you must know how you will set up your discussion, and you will need to provide students with the necessary scaffolds to succeed in this format. Productive talk can happen in whole-group settings, small-group, partners, non-verbally, incorporating movement, etc. Each of these strategies will require a unique approach and different tools, and some strategies will be more appropriate than others for your purpose and content.